Very often, we watched many Sci-Fi movies and got ourselves inspired, wishing those technologies are available in practical use. "Seeing is believing". As much as what we can see it in our minds eyes, it does stir many Research & Development in various Electronics companies to make it into reality. Indeed, we are now living in a world where many advanced technologies in movies, now a reality. "LG: Easy to Use, Easy to Connect & Easy to Connect"
are not mere words. LG really made electronics hardware easy for consumers to use without much hassle to learn difficult steps to make it work for them on a daily basis. 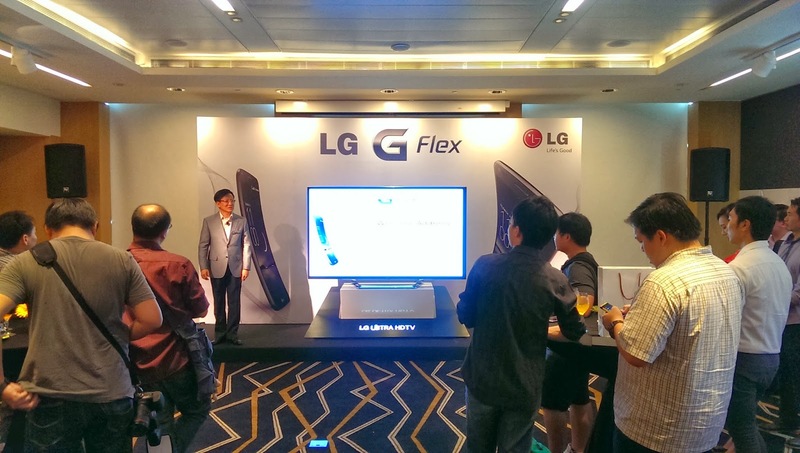 In the recent event I attended organised by LG in conjunction to their newly launched product "LG G Flex" here in Singapore, I am impressed with their mission to continually converging, bringing the needs of their customers and technology together to transform the way their users live, work and play. LG’s brand slogan “Life’s Good” conveys a message that we are focus in enriching customers’ lives with our products and services. Over the years we have observed customers’ habits and design products that satisfy and keep up with their lifestyle. The modern and hectic lifestyle has made us more reliant on electronic gadgets, hence LG designed mobile communication products that will not only satisfy customer’s needs while on the move but also the interconnectivity within the gadget eco-system. We have incorporated Smart features within our TV and mobile phones such as NFC Tag On, Smart Share, Miracast and WiDi to harness technology to improve the way our customers can engage with their devices. Scott Jung, Managing Director, LG Electronics Singapore. Earlier this year CES, LG's one of the obvious cool thing is using voice to search for content for your Smart TV instead of using screen keyboard or those pathetic number pads/keyboards to do your search. 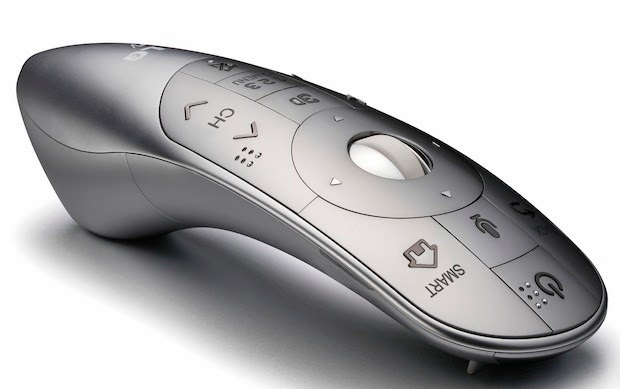 The redesigned Magic Remote device adopts enhanced language recognition capabilities that makes executing commands simple, natural, interactive and conversational thus complementing other control options -- voice, gesture, point and wheel. Together with the free LG TV Remote App for Android and iOS devices, smartphones and tablets can be used to control LG Smart TVs via a Wireless connection. Below video show just that, other than the remote used in the video presentation is outdated.